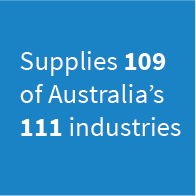 The Australian chemistry industry is strategically significant because of its supply chain centrality. It is a critical enabler of almost every value chain in Australia, a key employer of Australia’s valuable STEM capability and a driver of innovation through advanced manufacturing. 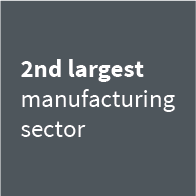 The industry creates the essential inputs that underpin a wide range of industry sectors, including the areas of competitive strength and strategic priority for Australia, such as food and agriculture; water and water reticulation; advanced manufacturing, medical technologies and pharmaceuticals; and mining equipment, technology and services. The industry is focussed on strategies for sustainable growth, and is playing an important role in Australia’s transition to smarter, value adding, advanced manufacturing. The business of chemistry also develops new materials and processes to help other manufacturing sectors to innovate and grow, for example new technologies in 3D printing and flow chemistry. Read more under The Industry, Innovation and Safety & Environment. The business of chemistry contributes significantly to the Australian economy and to our way of life. The industry adds value to the nation’s natural resources, and passes this investment on through Australia’s value chains to further multiply the benefits for the Australian economy, society and environment. From small family-owned companies to leading national and multinational enterprises, the businesses of chemistry include manufacturers, importers and distributors, raw material suppliers, fabricators, compounders and recyclers. Chemistry Australia’s membership extends through the entire value chain including logistics and supply chain partners, research, academia and service providers to the industry. The business of chemistry is a leading employer of Australia’s valuable STEM capability. The Office of the Chief Scientist notes that 75 per cent of the fastest growing occupations globally now require STEM skills and knowledge1. The business of chemistry is a vital part of this STEM ecosystem, providing high quality employment options for Australia’s talented university graduates and research capability. 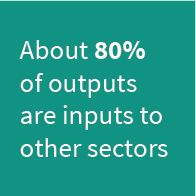 Providing 80% of its output as inputs to other industries, the Australian chemistry industry transfers investment and growth through supply chains, with an important multiplier effect for jobs. 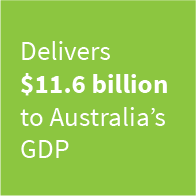 This demonstrates the strategic importance of industry that adds to Australia’s economic complexity, and builds a diverse and more resilient economy. Read more about key industry statistics in the CSIRO Report, ‘’Elements in Everything’, developed as a part of the Strategic Industry Roadmap. 1: Chief Scientist of Australia, 2014 ‘Science, Technology, Engineering and Mathematics: Australia’s Future’, Office of the Chief Scientist of Australia, Canberra, p.7.